We are a fun and exciting out of school club, catering for all children's needs. We offer a range of activities to keep your child entertained and go on a variety of trips in the school holidays - (transport paid for). We work to the Early Years Foundation Stage (EYFS) ensuring that the children age 3 - 5 feel happy in the setting and are meeting their full potential. These children are allocated a keyworker. All our staff are qualified from Level 2 – 6 in either Playwork, Early Years Education and Children &Young People’s Workforce. Regular training is undertook to ensure we maintain a knowledgeable and able workforce. We offer a balanced and nutritional breakfast and afternoon snack, always serving 1:5 a day. We support children with Special Education Needs and Disabilities working in partnership with Nottinghamshire County Council. 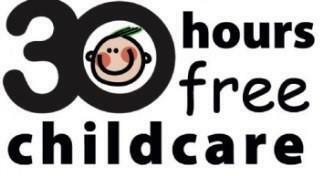 We offer the 30 hours entitlement for free childcare places. Our prices are very competitive, whilst offering a quality service. 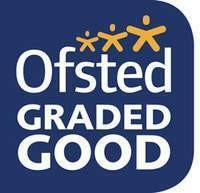 All 3 of our settings have received a `Good’ rating from Ofsted and we comply with all necessary legislation. We also hold a 5* rating at all 3 settings for Environmental Health & Food Hygiene. Referral Details We are available to book anytime for holiday places. PLEASE NOTE: We have a waiting list for term time places. The school and the club work very closely together to ensure that the community is offered provision that is flexible to parental need and focussed on the interests and safety of the children. Details - A provider for Breaks In Partnership catering for up to 8 children with special needs. Details - Provide a healthy balanced and nutritious breakfast and afternoon snack, meeting any child's dietry needs. Details - We are an inclusive setting promoting all cultures and religions. We have a culture board, toys, books and games and have welcome and goodbye in all different languages. Please find below the planning for the next holiday. Click here for information on Tree House out of schools club on the Nottinghamshire Help Yourself website.